Guy Opperman is a barrister who first became MP for Hexham on 6th May 2010 and continues as a Door Tenant at 3PB. Guy won the 2007 Bar Pro Bono Award for his work with the Western Circuit Free Representation Unit and the Challenge to the closure of Marlborough Hospital, through the BAR Pro Bono Unit:. He was praised by the Chairman of the Judges, Lord Goldsmith QC, for “helping many ordinary people and making their lives better” and by the Chairman of the Bar Council, Geoffrey Vos QC for his “sustained and impressive” work. Guy has a public law and common law practice. The bulk of his work has been in the fields of education law, professional and clinical negligence, regulatory and disciplinary proceedings, personal injury, judicial review and health and safety. He has considerable experience of complex and lengthy cases in all these fields, including in the High Court and the Court of Appeal. Leading test case on protective costs orders in judicial review claims, in which the Court of Appeal gave new guidance on the interpretation of the test of “general public importance”. Guy obtained two protective costs orders for Mrs Compton at first instance, see  EWHC 2769 (Admin) (McCombe J) and  EWHC 880 (Admin) (Holman J), both of which were upheld on appeal. He also obtained permission for Mrs Compton to judicially review the original decisions to close parts of Savernake Hospital in Wiltshire. The case was conducted entirely pro bono. Guy represented a 9 year old disabled girl in a human rights dispute arising out of her CICA claim; this case made new law on human rights and the costs of litigation in state tribunals. Guy successfully represented the appellant in a test case brought with the backing of the Automobile Association which established that her car had been wrongfully detained by the council’s wheel clampers, and which made new law on the assumption of risk. Employer’s duty to provide a safe system of work; scope of requirement to provide advice and training where “one-off” incident caused injury to employee. Manchester High Court before Swift LJ; Guy appeared for seven claimants on the assessment of damages for serious psychiatric and physical injuries following an assault by bar doormen, in which the first claimant’s husband was killed. The case concerned the duty of care of those in authority for the acts of their agents. £470,000 was awarded, including over £380,000 for the first claimant’s Fatal Accidents Act claim. Guy represented a Further Education College in a judicial review of its disciplinary process, arising from the permanent exclusion of a student for alleged breach of a final learning contract. Successful defence of a serving police officer in a seven-day trial of a civil action for assault and personal injury, in circumstances where the officer was facing claims from both the claimant and her own employer, the Metropolitan Police. Guy successfully resisted the Secretary of State’s appeal to the Pensions Appeal Commissioner in respect of the scope of the claimant’s pension entitlement for hearing loss caused by service in the Second World War. Prosecution of a former recording studio employee in a trial concerning the lost Beatles tapes from the 1969 “Get Back Sessions”. Guy has done a great many criminal trials in the past, including numerous murder trials, although he does not do much criminal work now. 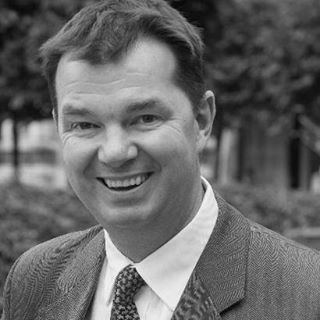 Guy Opperman is a published writer and rides as an amateur steeplechase jockey. He rode a winner as recently as March 2009 on Sushi at Corbridge. In 2006 he ran the New York Marathon. He has been an adviser to senior Conservative Party figures for several years – particularly to the former Shadow Foreign Secretary, Michael Ancram QC MP – and ran for Parliament in 1997 and 2005 before being elected in 2010. He was re-elected to serve as MP for Hexham in 2017. Guy is a frequent author for magazines and case reports in Clinical Risk – most recently in the September 2008 edition - and a frequent lecturer on behalf of AVMA.